Top 10 Ghost Tours in the US! What Are You Doing this Halloween Weekend? While making your plans for this upcoming Halloween weekend - consider finding a Ghost Tour to go on. Here at I Love Halloween, we have compiled 10 of the best Ghost Tours to visit. Each one of the tours will make the hair stand up on the back of your neck and leave you looking over your shoulder for days after! It all started with a photograph ... In 1992, the proprietress of the Myrtles photographed what appeared to be a slave girl standing between two of the buildings on the plantation. Located about 25 miles outside of Baton Rouge, Louisiana, is one of America's most haunted homes - which dates back to 1796. On Fridays and Saturday nights, they host the "Mystery Tour" where visitors can learn about all the people who haunt the plantation. There are at least 7 cited ghosts who haunt the grounds. The most prominent of all the ghosts at the Myrtles Plantation is Chloe - the servant girl who baked a poisoned cake which killed the plantation owner's wife and two children. This led to Chloe being hanged. Since then, many people have claimed to see Chloe wandering the grounds of the plantation. In 1992, when the current owner took photos of the property for insurance purposes, she captured a ghostly figure in the image, who many think is Chloe. Gettysburg - site of the battle that is widely considered to be the turning point of the Civil War - claims the title of being one of the most haunted places in America with 1000s of ghostly sightings. There are several different ghost tours to choose from in Gettysburg, and all of them will leave you feeling creeped out. Many people have encountered spirits of dead soldiers looking for ammunition. Other people have shared that they've heard the echoes of battle cries and the sounds of men screaming "Charge!" ... at other times, people might hear the hushed sounds of soldiers talking amongst themselves. Due to the circumstances of the battle, 1000s of men did not receive proper burial at Gettysburg, so it's no wonder they remain on the battlefield, continuing to fight 100s of years later. Named one of the top 13 Ghost Tours in the World by Conde Nast Traveller, the Blue Orb Ghost Tour in Savannah, Georgia is sure to leave you terrified. If you can, book yourself onto the "Adult Only Zombie Ghost Tour", which incorporates frightening tales from the Voodoo and Hoodoo communities in the Low-Country (stories like the "Shadow Beings and Shape Shifters.") This tour is definitely worth the trip, and if you live in Savannah, you should definitely go this weekend! Don't just go on any old ghost tour of Charleston! 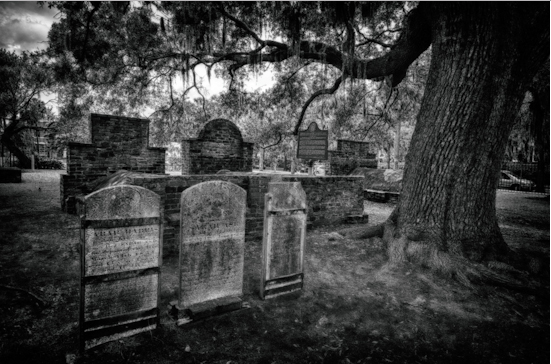 Delve into the terrifying tales of the macabre history of this "quaint" southern town. On this tour, you'll follow in the footsteps of generals, lords, thieves, murderers, and slaves as you hear stories that have been passed down through the generations; stories about the serious hauntings that still occur to this day in Charleston. This tour is definitely one the creepiest around. If you're near St. Augustine, Florida and haven't checked out the Light House Ghost Tour yet, then this might be a good time to do it. Here you will likely come into contact with one of the old lighthouse keepers - one of which fell to his death while trying to paint the tower of the light house. Then there are the ghosts of the two young girls who died in the late 1800s when they were knocked into the water near the light house and drowned. Many have reported hearing the two girls giggling, and have even seen them climbing to the top of the tower. This is one of the oldest ghost tours in America. On this tour, visitors will hear several stories of death from Harper's Ferry's violent past, especially during the American Civil War. During the Civil War, this town changed hands between the North and the South 8 times! One of the highlights of the tour is the stop at St. Peter's Catholic Church, which served as a hospital during the war, where cries from wounded soldiers can still be heard at the threshold of the church. Just an easy walk from the Washington, DC Metro - this Ghosts and Graveyard's Tour in Old Town Alexandria is not to be missed! This tour has been a tradition in Alexandria since 1982. Your guide for the tour will be dressed in authentic 18th century garb and carrying a lantern as he/she leads you through the storied, spooky history of Old Town Alexandria. As you wander through the colonial streets and graveyards, you will hear tales of unsolved mysteries and angry ghosts that will give you the creeps for sure! Self described as a "boutique tour company devoted to strange, dark, and macabre tours of New York City," these tours are not to be missed! Check out their website and be sure to schedule your tour before it fills up. This unique company offers tours that showcase the many creepy ghost stories in the various boroughs of New York City. Learn about the ghosts that haunt Astoria .. or maybe you'd prefer to know the haunted history of Central Park. If you love both Christmas and Halloween, check out their tours in December when they offer their "Ghosts of Christmas Past" experience. After walking on one of these tours, you'll never be able to look at New York City the same way again. If you find yourself in New Orleans this Halloween, head over to the French Quarter and check out the infamous Ghosts and Legends tour, where you can learn about the dark history of the French Quarter. The tour takes you to sites that have actually been listed in Police Records and City Archives as being haunted. Make sure to visit the LaLaurie Mansion, the Sultan's Palace and Beauregard-Keyes House to get full accounts of the ghastly happenings that occurred in each location. New Orleans' history is rife with superstitions, folklore and dark history, so it is definitely a must-visit for anyone who enjoys ghost tours. 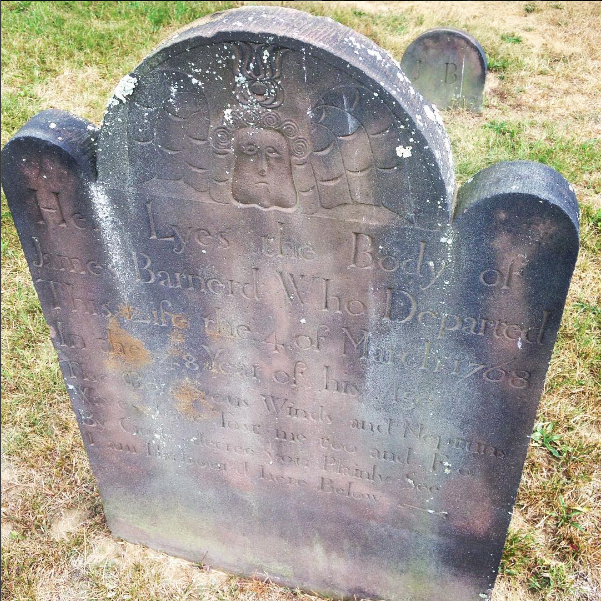 The Salem Witch Walk offers an opportunity to hear the story from the witches' perspective. The tour will walk you through the significant places and events that occurred back in 1692 that lead to the unjust execution of 19 people accused of witchcraft. The tour will also take you through one of the most haunted graveyards in America. This spooky stroll is a great way to spend this Halloween weekend.